Namaste and greetings from adventure high pass! We are a one-stop travel solution agency in Kathmandu offering exceptional tours experience in Kathmandu city and around the whole country. Our diverse arrays of travelers have been enjoying their precious time with our local expert tour guides. 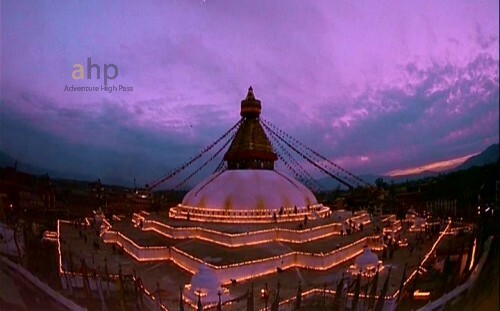 Come and feel the real charm of Katmandu city tours with us! Kathmandu city tours focus all the key highlights of Kathmandu valley - a living gallery of Nepalese arts, culture, and ancient heritage famed from the time immemorial. 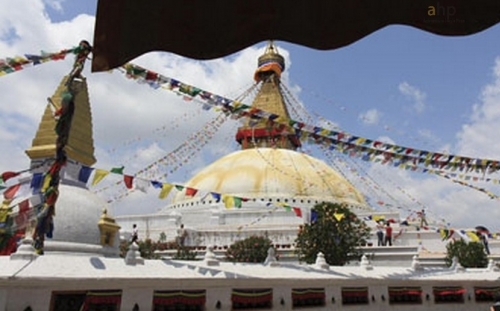 Kathmandu city tour is one of the most popular sightseeing tours in Nepal. Kathmandu is the capital city of Nepal. It is Valley and located on 1350meters altitude. And inside Kathmandu valley, there are 3 cities Kathmandu, Patan, and Bhaktapur. Kathmandu valley has an artistic exposition of graceful temples, elegant palaces, brick paved courtyards and giant streets. Kathmandu is the political, commercial, cultural hub of Nepal is framed for its natural beauty and historic and holistic places. This city is also known as the city of temples. Kathmandu Durbar Square is one of the most visited World Heritage Site located in the heart of Kathmandu It is the site of the Hanuman Dhoka Palace Complex, which was the royal Nepalese residence until the 19th century and where important ceremonies, such as the coronation of the Nepalese monarch, still take place today. The two-hectare (five-acre) palace complex is divided into two main chowks, or courtyards, and was initially constructed in the 16th century, although subsequent additions were made in the Shah (Gurkha) dynasty in the 18th century and by the Rana rulers in the 19th century..
- Accommodation in guest house and hotle for trekking. - Insurence for guide or porter. 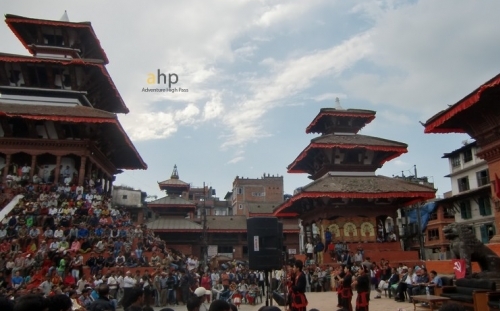 Kathmandu heritage tour is one of the fine 15 to 17 century art galleries. Kathmandu, Bhaktapur and Patan durbar squire are the UNESCO world Heritage sites. 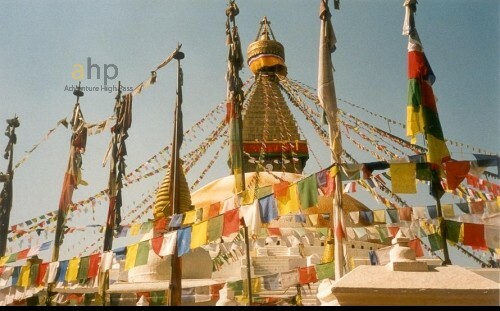 And Swayambhu and Boudhanath is very great holy sport of Buddhist pilgrims. Pashupatinath Temple situated in Gausala and banks of Bagmati River where Aryaghat, famous funeral site for Hindus lies. Mt. 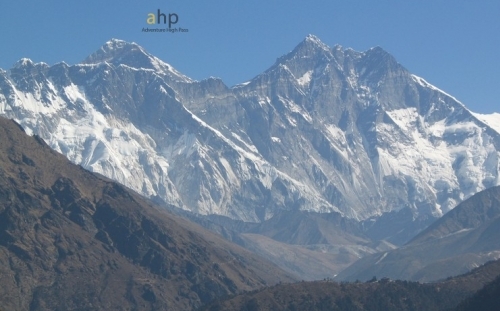 Everest view trek is short and easy trekking in Khumbu zone. This trekking is easy and short trekking and lifetime achievement for adventure holiday in Everest region. Where you can see Mt. Lothese, Nuptse, Amadablam, Thamserku, Choyou and many more. Among the most ancient and holiest places of Nepal, The Haleshi is one of them. It is very popular as The Pashupatinath of eastern Nepal. It is situated at the hilly region of the country in between the holy rivers Dudh Koshi to the right and Sunkoshi to the left. The temple is situated at the top of a small hill inside a beautiful cave. There lie other numerous small beautiful caves too. Everybody, who reaches there, can't resist themselves without appreciating its location, beauty as well as its natural inheritance. This is the place, which is famous for its historical, religious, cultural and tourism importance. Here, the image of the god is inside the cave, which is full of natural beauty. Inside the cave is dark and there are bats flying here and there. It is the natural cave, which lies in a remote hilly region and is believed to be in existence for 6000 years. It is the place full of natural beauty and cultural inheritance. It is popular among the Hindus as well as the Buddhists all over the world. The place is perhaps not an artificial creation but a gift of nature. There are three mysterious caves, which are believed to be the three eyes of Lord Shiva. as we see in the first cave, we see an image of Lord Shiva which is called as Haleshwar Mahadev. In the second cave, there is an image of Nandi. So, the cave is known Basaha Gupha. And there is an image of Bhairav an in the third cave. Among these three mysterious caves, the first one with the image of Lord Shiva is the main part of the temple. After marching down 25 to 30 steps down the stairs at the walls of the cliff there is a big red stone which is worshiped as Gaura Parbata. It is believed to be a joint image of Gauri and Parbati. This cave is in the depth of about 300ft. At the bottom of the cave, there is the image of Mahadev made of stone. It is about two and a half feet long. One can reach to the end or to the image of the god after walking 102 stairs made of the stones arranged well in the stairs. The stairs are wide enough to walk for a 4/5 people at a time. It is said that the base of the statue 'Linga' of Mahadev which is nearly two and a half feet high up from the ground but the base of the statue leads to the next cave through a small hole. It is called Basaha Gupha. The base of the statue is full of water. even under the ground. The main statue of the temple is fenced with the cement pillars It is situated in a square at the middle. Above the statue, in the cliff, there is an image of cows' udder from which white drops fall on to the statue. It is believed that Kamadhenu (Cow in the heaven who can fulfills the desires wishes if asked ) is worshiping the god by offering her milk. People perform various religious Pujas. (Rudri, Laghu Rudri, Maha Rudri, Aati Rudri) in the temple during different festivals. Some people do such performances to get peace, spiritual happiness and prosperity. The whole temple flutters with the Vedic Mantras at the time of Puja. Those who are poor, have no children and are suffering from sarrow come here and promise to offer something if their wishes and expectation are fulfilled. After their wishes are fulfilled they get back again and offer the god what they have promised to offer. They offer the god one hundred thousand holy threads and leaves of wood apple or by performing prayer and puja. The Haleshi temple is situated in the Khotang district of eastern Nepal . This is a small hilly area full of natural beauty. The location of the place itself is beautiful. One the other hand, the beautiful and mysterious natural caves; full of different natural images, look as if the stone carving artist have donelt carefully taking a lot of time. Here, the images are all inside the caves which themselves are mysterious. Ghoptay Dwar: This door is named after its location. Ghoptay Dwar is a nepali word which means downward facing the door. It is located to the Northwest of the image of the god. People enter here from the South and come out of the North. It is about 9 feet long. Pap Dwar: To the East-South of the image of the god, there is an another door called Pap Dwar. In this door, people enter from the east and come out hardly from the West. Dharma Dwar: After praying the Haleshwar Mahadev when we move forward in the West-North there are two 9/9 feet square shaped stones with a small gap between them. There is a tradition of going in and coming out from that gap. This gap is called Dharma Dwar. Swarga Dwar: There is another famous door called as Swarga Dwar. Ii looks really amazing if it is viewed from Yagya Shala , close to pap dwar. People can't reach there, as it is located really in a difficult place where there is no way to get through. It may have been named Swarga Dwar as Swarga in Nepali Means heaven where no people can reach and live in. There is a legend that people who are really religious can easily enter the four dwars. But those who are not cannot enter any of these dwars. Nature is really beautiful, mysterious and amazing as there are different things that look like artificial stones finished after a long hard work by a stone-carving artist. So not only religious people but also the people who believe only in scientific evidences also can't resist themselves without praising the beauty of the cave after watching its mechanism as well as the surrounding. Basahasthan is the second cave of the place. It is also called as Basaha Dulo(hole). It is to the west of the temple of Shiva. The breadth of this cave is 45 to 50 feet and the length is about 220 feet. As we enter the cave from the west and reach 220 feet, we may find a hole there from where we can see the sky. Close to the hole, there is about 80-85 feet wide jungle called 'Kailash'. People spend whole night inside this cave during festivals. Another important and amazing thing about the cave is that inside the Basaha hole one can see the sky from there, if people stand facing towards the sky open handed asking for milk to 'Kamdhenu' shouting 'Dudh Dau Mai' milk like white drops fall in some people's hands and water drops in some other's. According to the legend People who get milk like white drops are believed to be lucky and religious and in the same way those who get water drops are believed to be unlucky and not religious. So people who get white drops like milk thinks themselves lucky and get proud but the people with water drops think they are unlucky and get shy in sorrow. Nepal is a land of peace, dignity and full of natural beauty. It is surrounded by beautiful mountain peaks, high hills, dense forest, endangered animals and birds, many long and short rivers, ponds, gorge, etc. There is diversity in religion and culture, people live here are Sherpa, Newar, Brahmin, Chettri, Magar, Tamang and many more. Around Kathmandu valley, the trek takes us to the beautiful and capital city of Nepal, Kathmandu which is surrounded by green high hills. It is the main gateway to other different trekking routes such as Dhulikhel Trek, Namobuddha Trek, Chisapani Sundarijal Trek, Nagarkot Trek, Shivapuri Village Trek, Balthali Village Trek, Shivapuri Village, etc. The trek offers us with typical rural Nepal where we can view many different mountain ranges. The hills around the city are covered with terraced farms, beautiful and charming villages, lush green forest and many more. Though the village area is near from capital city, Kathmandu, they are not affected by modernization so we will get chance to see their ancient culture and tradition and know the life in the village without going too far. When we pass the trail, we can view many mountains such as Pashupati temple, one of the world heritage site where Hindus from all around the world come to worship, many monasteries and stupas such as Boudha, one of the world heritage site, etc. Despite being the capital city, we can see farmers working in the fields growing crops, and other vegetables. Kathmandu is also known as the city of the Newar community but people of other caste-like Brahmin, Chettri, Tamang, etc also live here. Nepal is one of the historical countries for traveling and trekking. Nepal has more than 6/7hundred live history and culture to study. With its long history, distinctive, fascinating and varied architecture. 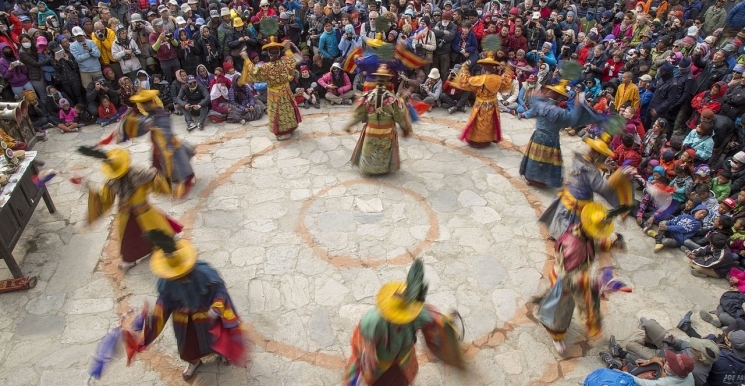 The vast diversity of people, their culture, language, and traditions will intrigue for anyone. The main two religions Hinduism and Buddhism are present with a variety of God and Goddess, temples, Monastery and Stupa and deep faith people. The panoramic of mountains scenery, jungle safari and beautiful landscape will enchant you and make you’re traveling one of the most interesting, romantic and memorable. From the 7th or 8th Century B.C. the Kirantis start to have ruled the Kathmandu valley. Kirant’s famous King Yalambar is even mentioned in the epic, ‘Mahabharat’. Around 300 A.D. the Lichhavis arrived from northern India and takeovers the Kirantis. One of the legacies of the Lichhavis is the Changu Narayan Temple near Bhaktapur, which back to the 5th Century. In the early 7th Century, Amshuvarma, the first Thakuri king took over the throne from his father-in-law who was a Lichhavi dynasty. The Lichhavis brought art and architecture to the valley. But the golden age of creativity arrived in 1200 A.D with the Mallas. Mallas built numerous temples and splendid palaces with picturesque squares. It was also during their rule, religious festivals were introduced and literature, music, and art were encouraged. 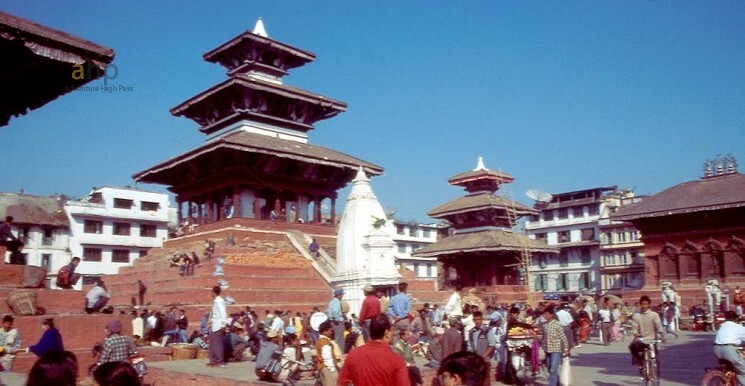 Kathmandu is known as the city of temples. Starting from Bhaktapur at around 9 in the morning, we cover all the all the major attraction of Bhaktapur and Kathmandu. 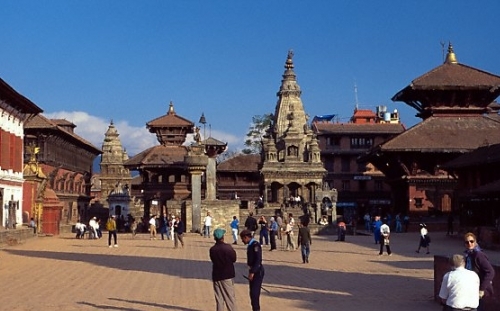 Standing 1400 m above sea level, Bhaktapur Durbar Square is a plaza in front of old Bhaktapur. 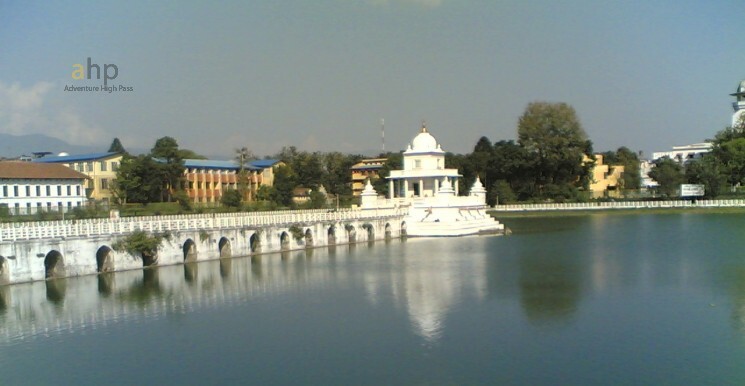 The location is also known as Bhadgoan, which lies 13 km from Kathmandu. 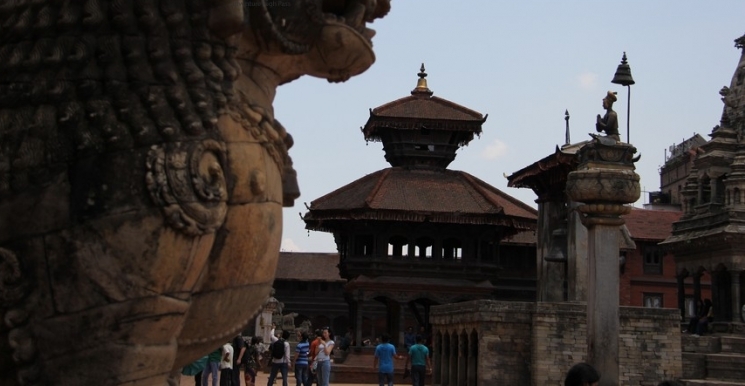 Listed asWorld Heritage site, Bhaktapur Durbar has many major attractions.